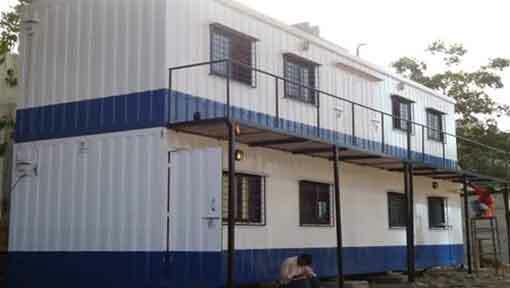 SAMAN POS India Pvt Ltd is a globally recognized supplier of Portable Buildings in India and Overseas. Since our establishment, we have prevailed as a top rated company with our exceptional ranges of prefab structures. We follow a rigorous manufacturing process by developing high-end superior components and combining them to form a finished construction. When compared with the basic method of constructions, our methods offer numerous advantages over it. We at SAMAN POS India Pvt Ltd has set our journey towards the futuristic modular structure and trying to make this world a better place. 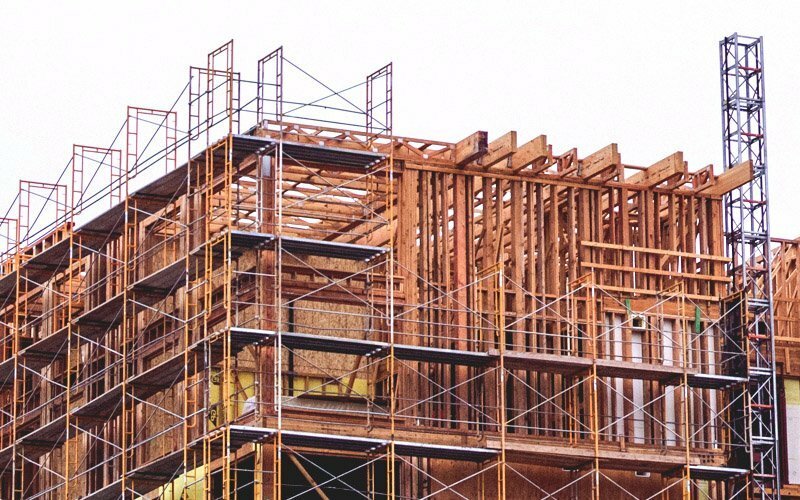 It’s practically impossible to perform a structural change in traditional structures, without going through a demolition or deconstruction process. which again requires hiring manpower and a hefty investment. Our Portable Building structures include an amalgamation of various individual parts, allowing users to change the design and layout. With our products, you can utilize your raw imagination and watch them getting transpired into your desired structure. You can easily add or remove parts of your Buildings to adjust the space allotment. As per your requirement, you can adjust your space allocation by adding or dismounting parts in your structure. Maintaining the exteriors and interiors of a traditional structure requires a hefty amount of money. Processes like Regular refurbishments, cleaning, partial demolition, additional constructions etc. takes up a lot of time and money. Whereas, with our Portable Buildings, you don’t need to go through such intricate procedures. Our long-lasting material gives optimal performance for decades without displaying any sign of corrosion, or structural abrasions etc. Tougher construction and cutting-edge endurance capacities are some of the few crucial factors you will find in our prefab structures. The expenditures involved during a brick & mortar construction includes the price you pay for raw materials, workers, transportation of raw materials, utilities, and so on. Also, you have to pay for land allocation, land permit etc. Our Portable Buildings, on the other hand, doesn’t go by these rules. Building modular structures don’t involve any laborious work, rather they take around 3-6 days to install completely. Our pre-engineered structures are manufactured off-site and assembled onsite, thereby eliminating the cost you pay for raw materials and labors. Manufacturers are legally bound to follow a strict code while developing prefabricated structures. They are also liable to undergo a stringent quality test of their components before delivering them to their clienteles. 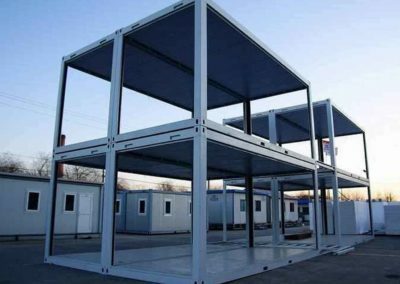 The presence of such stringent manufacturing development in a portable building makes them more dependable compared to a conventionally built structure. 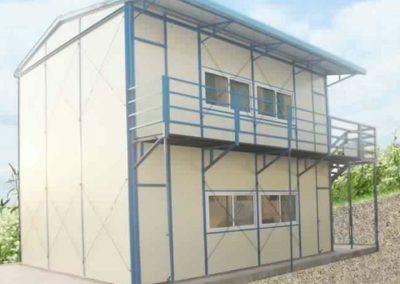 The absence of constant relying on the quality of every raw material (as in traditional structures), makes our Portable Buildings more superior. Long term exposure of raw materials to uncertain places and environment as in traditional construction makes them unfit for a strong construction. Materials like bricks, cement mix, steel, breeze-clocks often exposed to rust, severe weather and contamination, for weeks and months, which degrades their core quality to an higher degree. Happily, all our pre-engineered components considered as the best, due to their lack of exposure to flawed components. Our vigorous procurement method certifies the quality of the final product and we never cease to provide satisfactory results to our clients. All our products come with accurate sizes and dimensions, certifying them as Industrial Graded goods. Plus, our pre-engineered structures offer protection against fire, pollution, and electrocution, allowing optimum safety for you and your family. From the abovementioned factors, you can easily infer that our portable structures bring higher benefits to the table. A strong core offers extensive protection against the severe weather and natural calamities as cyclones, heavy rain, flood, and earthquakes. Planning a traditional structure necessitates months of planning along with several arrangement and add the time consumption for construction, you will get the end-results within a year. However, with our Portable Buildings, you can have them done within a couple of weeks. All you have to do is pick up your phone and call us. Then mention us your intended design and we will have them delivered at the site before time. All our components come from a specialized manufacturing facility after a rigorous test procedure. As a result, you don’t have to do months of waiting or planning. Moreover, we offer a free consultation and layout-picking session. 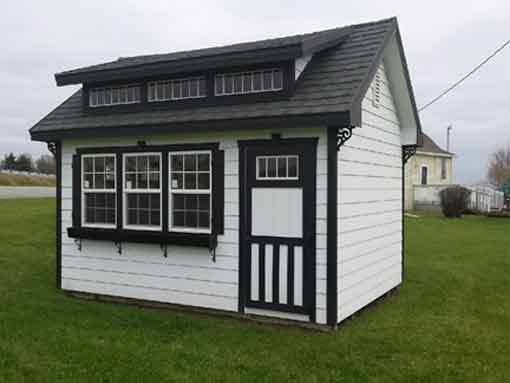 You can pick your favorite Portable Buildings layout from our collection, rather than hiring an architect. 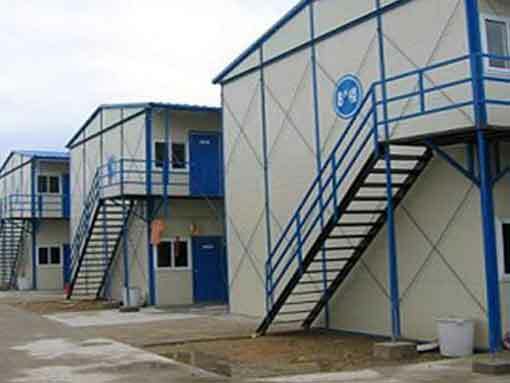 Choosing our Portable Buildings offers you relief from all the above process. 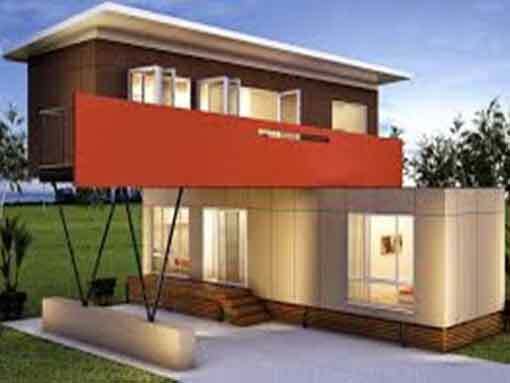 As all the parts of prefab structures come manufactured from the office, it eradicates the need for onsite construction. The only task left to do is to assemble the parts into a full-fledged building. 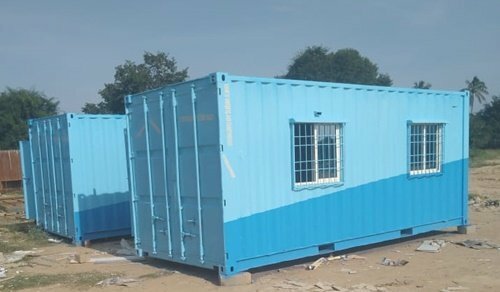 If you are looking to get your hands on our excellent quality of Portable Buildings, then Pick up the phone and call SAMAN POS India Pvt Ltd. Our years of experience has empowered us to provide quality products before crossing the deadline. Since 2017, we have remained at the forefront in delivering contemporary and ultramodern products to our wide range of clients across India and Overseas.